Using simple steps, the book shows the reader how they can build up their endurance over a matter of weeks and months, and how their quality of life will benefit. 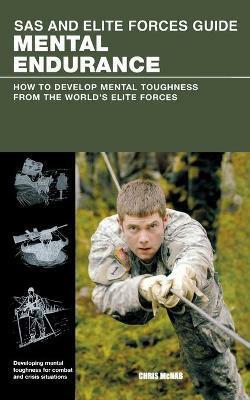 Elite Forces Handbook: Mental Endurance demonstrates how you can gain the psychological edge over your opponent and take greater control of yourself. 1. IntroductionWhy you should push yourself to the limits. Creating success in your life. Gain energyand confidence.2. PreparationPlanning your way forward. What areas of weakness do you have? What are yourstrengths? How can you improve?3. First stepsStraightforward mental exercises to warm up and create a basic standard of mentalpreparedness. Positive thinking, self-awareness, assertiveness, Visualisations.4. Diet, Nutrition and RestTo reach peak mental condition, you need to be aware of what you are using to fuelyour body. How does the body repair itself? What is the ideal amount of rest formaximum fitness?5. TrainingEasy-to-follow exercises and routines to develop your endurance and stamina both.Includes training practice used by elite forces during their induction process.6. Defeating an OpponentHow to gain the psychological edge over your opponent. Winning the mental battle isvital to success in any field, whether unarmed combat, sport or even the office.7. Advanced TechniquesHow to reach your absolute peak whilst remaining fit and safe. Examples of extremeendurance and how the people involved coped.8. Further InformationWhere to get help, finding out more about improving your endurance. Chris McNab is an experienced specialist in survival techniques. He has published over 20 books including How to Survive Anything, Anywhere, Special Forces Endurance Techniques, First Aid Survival Manual, Military Survival Handbook, SAS and Elite Forces Guide: Wilderness Survival and SAS and Elite Forces Guide: Preparing to Survive. In his home country of Wales, UK, McNab provides instruction on wilderness hunting techniques.